Windows 8 and Windows 8.1 users are frequently riddled with errors, and the Error 577 related to Windows Defender has been a common and recurring one. Some Windows 10 have also experienced this issue and requested for an Error 577 fix. If the Windows Defender on your computer won’t start up due to the “Error: 577: Windows Could Not Start the Windows Defender Network Inspection Service” here are two simple methods on how to fix Error 577. Installing or uninstalling a third-party security software or antivirus which has deleted or modified Windows Defender program files. Corrupted Windows registry files due to recent software changed related to Windows Defender. 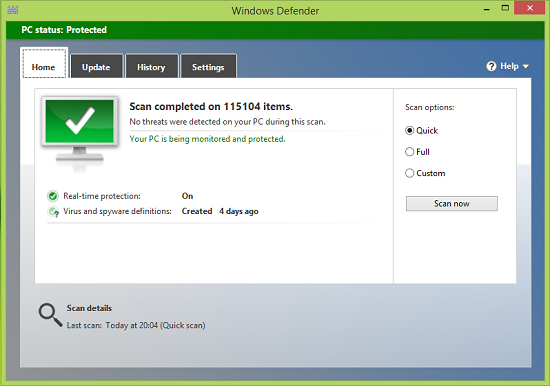 Any malicious software that has altered or deleted files related to the Windows Defender. 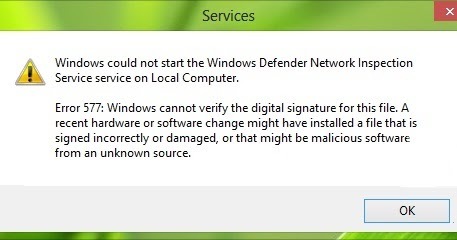 Upgrading from Windows 8 to Windows 8.1 can also shoot back Windows Defender error 577. Step 2: Click on the “Turn on now” buttons or the “Launch” buttons on the Action Center. 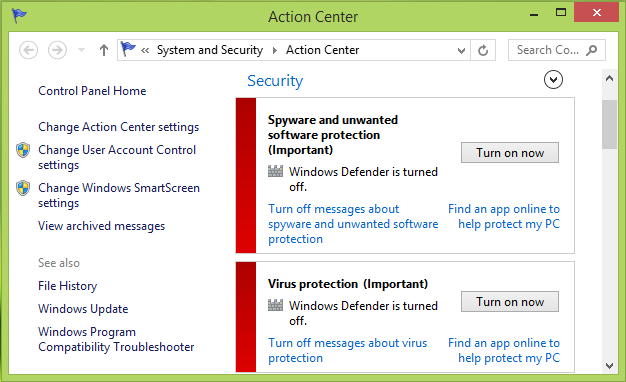 Depending on whether you have turned on the Windows Defender in the past or not, you will be able to see the “Turn on now” or the “Launch” button next to the protection features. Click on these buttons to enable Windows Defender and give you the simplest Error 577 fix. Once you have understood how to fix Error 577 for Windows Defender, it is always a good idea to run the program and scan your computer for any malicious software or files. 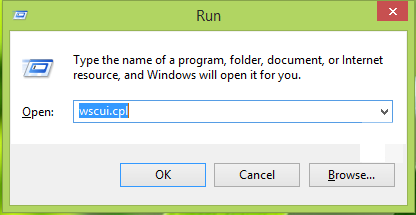 The shortcut function will open the Windows Registry Editor. The RegOwnershipEx is a program developed by Sergey Tkachenko, which enables users to easily edit registry keys on Windows 8, 8.1 and 10. Simply download the RegOwnershipEx program from here and open it. In order to access the Windows Defender key and modify it for a quick Error 577 fix, you must take ownership of it using RegOwnershipEx. Copy the path “HKEY_LOCAL_MACHINE\SOFTWARE\Microsoft\Windows Defender” and paste it in the dialog box in the RegOwnershipEx and click on “Take Ownership”. Browse through the list of registries within the Windows Defender key and select DisableAntiSpyware and DisableAntiVirus with type DWORD. Double click on both the registries to open two new dialog boxes. Click on the Value data box space and change the value to 1 from 0 for the DisableAntiSpyware and DisableAntiVirus DWORDS. 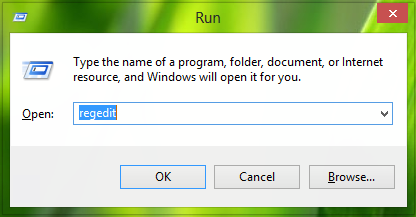 Click OK and close the Windows Registry Editor. The execution file will make the Windows Defender run optimally on your computer, finally giving you the Error 577 fix you have been looking for.